You may be well on your way to becoming successful, or you may not have a clue on how to mix. Regardless of your status or skill level, you should always aim to get the best DJ headphones for the money. Having clear audio in your head allows you to become better at your craft and at pleasing your audience. But how do you go about picking your headphones? – For starters, don’t assume that a “DJ headphones” label is any indication of amazing sound or build quality. Some highly regarded headphones may not be specially designed for DJs, but don’t be surprised if they perform better than many purported DJ headphones. Check out some of my favorite headphones that a DJ can use these days without breaking the bank. Until you reach Deadmau5-level of fame and fortune, you may want to consider something more attainable. These headphones aren’t the absolute best for live gigs. However, they’re highly useful for DJs. They’re studio-level headphones which can help you mix your set and prepare for a live show. The tonal profile is a lot more balanced than what you would get from most live headphones. The frequency response is extended on the low end. The sound isolation is also very nice due to the design and size of the ear pads. Clarity aside, the headphones are affordable and durable. The ear cups swivel 90 degrees, which means you can use multiple mix monitoring approaches. This could be very useful if you’re a beginner and not set in your ways yet. The ATH-M50X can also handle some live performances if you’re deejaying on a tight budget. The noise cancellation is good enough to let you mix in small venues. Of course, you may not even need that if you’re mixing with just one ear cup. 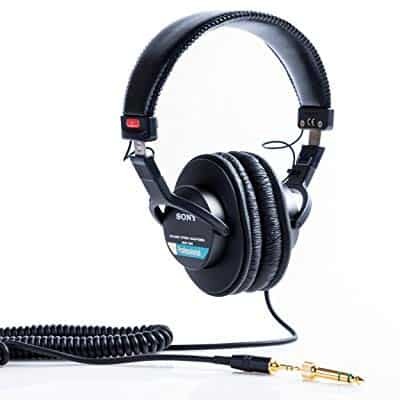 From the category of oldies but goodies emerge the Sony MDR7506 headphones. They aren’t specifically designed for DJs. However, thanks to the impeccable sound quality, why not use them for mixing if you’re not looking to throw a lot of cash around? The bass quality is above average. You will appreciate the balanced response in the mid and high frequencies. Perhaps not the best tonal profile for live gigs, but there’s no denying the impact these headphones can have on your studio mixing sessions. For a pair of plastic headphones, the MDR7506 is rather durable. They’re great for traveling, but not so much if you plan on listening to music or mixing on the road. That’s mostly because of the very long 9.8ft cord. Another reason why you should consider them for studio mixing and not live gigs, even though the cable length is tempting, is the below average padding. It causes the headphones to exert more pressure on your head. This may make moving around while wearing them less than ideal. 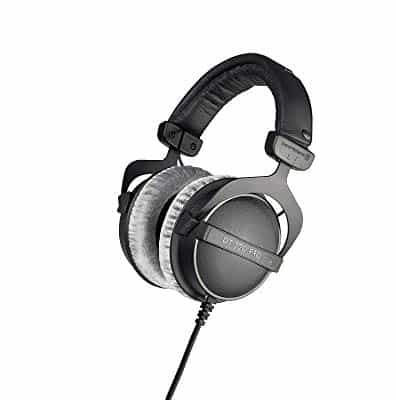 The HD 25 professional DJ headphones are as plain as you’ll find a pair of Sennheiser. The headband is not exactly what you would expect and the level of comfort is not overly impressive. On the other hand, if you want to talk sound quality, this is where it’s at. These headphones have a remarkable low frequency response. The bass dynamic is spot-on whether you want to use these bad boys live or in the studio. The rest of the frequency spectrum is also quite good due to the drivers’ high sensitivity aluminum voice coils. As previously stated, they’re not too comfortable. However, they’re very light and don’t exert too much pressure on your head. The ear cups can be rotated so that you can do single-ear mixing. The noise cancellation is decent but nothing over the top. What perhaps makes the Sennheiser HD 25 suitable for DJs performing live is the durability and versatility. The auxiliary cable is detachable, which isn’t seen on all headphones in this price range. 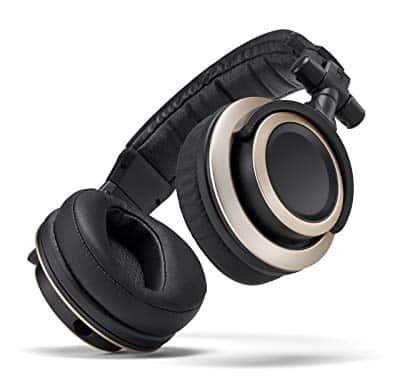 If you’re looking for a more budget-friendly pair of mixing headphones, then Status Audio has you covered with the CB-1 closed back headphones. 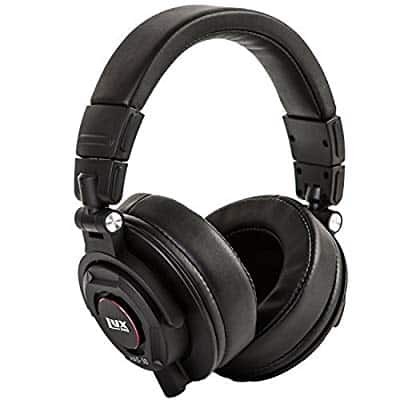 They’re good as entry-level headphones but may also be suitable as spare headphones for professional DJs. Flexibility is the name of the game here. 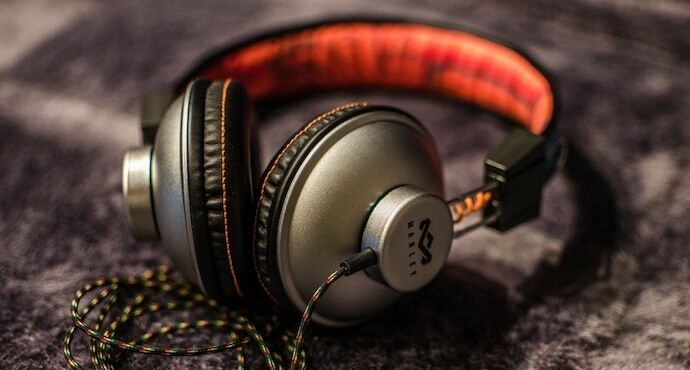 The CB-1 headphones feature detachable cables, both coiled and straight, as well as a folding design. Easy to transport, easy to store. Because they’re so cheap, you shouldn’t expect amazing tonal profile. The sound is quite neutral and it doesn’t emphasize low-end frequencies too much. However, you can compensate for that with your mixing. The ear pads are very soft on the ears and they’re also dense enough to prevent head pressure during long mixing sessions. 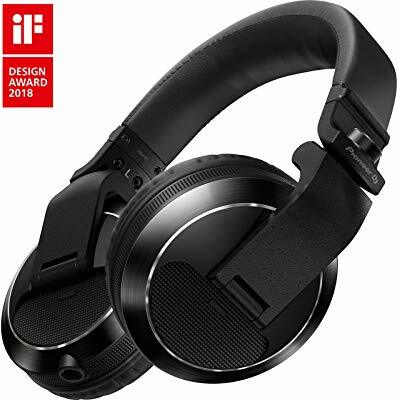 If you enjoy playing instruments too, the passive noise isolation that comes from the over-ear closed back design is very good for this price range. The durability is rather good too. Although the headphones appear simple, the materials used and the way everything is put together are above average. These headphones don’t come cheap if you’re just starting out your journey into mixing. But if you are willing to splurge a bit, you’ll be hitting the ground running. The HDJ-X7 headphones are some of the most durable to come from Pioneer. They’re also as comfortable as they are rugged. The ear cups swivel and rotate so that you can mix in whichever way you want. Although the headphones look and feel as if built for marathon sessions, the noise isolation is a noticeable drawback. 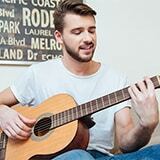 As for the sound, there’s a strong emphasis on low and high frequencies. This should help you prepare your best mixes yet and follow up with solid live performances. Don’t worry about the tonal profile being too bland either. There’s enough clarity to hear the midrange in any bass-heavy mixes. Compared to most competitor models, these headphones seem to tick all the boxes. The sound quality alone makes them worth the asking price. If only Pioneer would’ve shown the same attention to detail when it came to canceling out outside background noises. That being said, if you’re the type of DJ that does one-ear mixing, this shouldn’t be a problem. With a standard 9.8ft cable and medium to high impedance, the DT 770 Pro headphones are often the ones to beat. They have amazing studio performance but aren’t too shabby either if you’re considering them for live gigs. The low-frequency response is very good without overshadowing the other frequencies. Instead, the whole presentation will just have a more defined and punchy sound. The overall tone is quite crisp and helpful for a wide range of mixes. As others might point out, these headphones are a lot more balanced than they’re given credit for. When it comes to comfort, I would also recommend the DT 770 Pro to just about anyone. Even though the headphones have a slightly higher price tag, you get what you pay for and then some. The velour pads ensure a lot of comfort and the easy replacement mechanism makes things even better. The robust headband has high quality memory foam padding, which takes off the pressure off your head even for marathon sessions. What’s interesting is that the ear cups don’t swivel. These are designed as professional headphones for serious recording and monitoring. Like I said earlier, it doesn’t mean you can’t use them as DJ headphones. Right off the bat, you’ll notice that the low frequency response of the LyxPro HAS-30 is through the roof, so you can cross that off the list. If you’re also looking for versatility and swiveling ear cups, you’ll really appreciate the LyxPro’s 180-degree rotatable ear cups. Maybe you want some style too? The leather-padded headband looks sleek and professional. For some ticket buyers at your next gig, this is half the battle won. Speaking of playing gigs, at such a low cost, it’s impressive how compact the HAS-30 headphones are. I was pleasantly surprised to see not only a compact build but also a foldable design. If only a carry bag or case was also included. Nevertheless, the headphones are good to go, and I do mean on the road. The noise isolation is good enough for playing small to medium-sized venues, but only if you’re not a fan of doing single-ear mixing. The headphones feature two removable cables, one coiled and one straight, and durable connectors. The tonal profile has a bass emphasis and not so much high and mid definition. This may be an issue at times, especially for inexperienced DJs who haven’t mastered mixing. However, there is one issue that the HAS-30 headphones have, and that’s durability. The plastic is not as rugged as I had hoped. There are certainly more durable models in this price range, perhaps not with the same sound clarity. Behringer’s track record of making audio equipment is not the best or the worst. The company has a long-standing tradition of offering entry-level and mid-priced products that cater to a lot of genres, personal styles, and occupations. 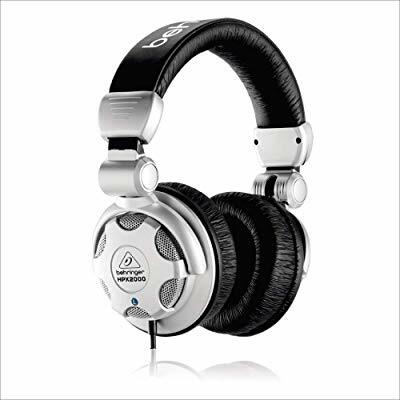 It’s no surprise that one of the most popular entry-level pair of DJ headphones comes from Behringer. I particularly enjoy the HPX2000 headphones purely based on how much you get for very little money. The design is also wicked and very professional as the combination of silver and black looks amazing. Setting aside aesthetics, let’s talk sound clarity. Although these are labeled high-definition headphones, they are a bit lacking in that department. The tonal profile is well-suited for mixing as the low-frequency response is highly emphasized. However, the definition overall is not ideal. You might find yourself losing a lot on the high end of the frequency spectrum which is not great. You need that extra crispiness if you’re going to perform live. 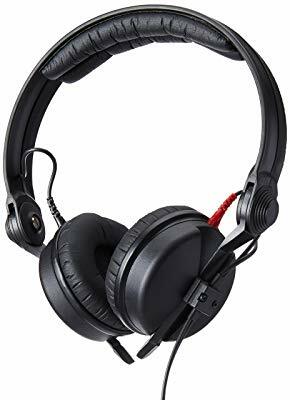 Be that as it may, these are still DJ headphones even though they don’t sound very dynamic, or the ability to go from very soft to very loud and back. What they lack in terms of live performance they make up for in studio performance. The noise isolation is good enough and the level of comfort is very nice. Looking to mix in the comfort of your studio for hours? – No problem. You’re not going to be able to use one-ear mixing though, as the headphones don’t have swiveling ear cups or a flexible headband. All things considered, the price is absolutely unbeatable. Some will say that punchy bass is essential for mixing. It matters even more when you’re performing live. Although some levels of detail are also required at the high end of the spectrum, it’s the low frequency response that’s the bread and butter for all DJs. And, when it comes to this topic, there’s no room for personal preference. If you have a good ear then accurate frequency response is non-debatable. Some headphones are miles better than others so you shouldn’t skimp if you want to be professional or do this for a living. But is that really all there is to picking a pair of good DJ headphones? Turn up the volume and feel the bass vibrating through your bones? While it is true that DJ headphones should have exceptional low frequency response and clarity, that’s not the only important feature to consider. DJ headphones are put under enormous strain, especially if you’re on tour or play gigs regularly. The headphones need to have excellent resistance wear and tear. If it’s hard to tell, you can at least go for a pair that’s as well-built as you can afford. Believe it or not, a lot of professional DJs often experience more problems with headphones breaking than underperforming. Swiveling ear cups are not exactly for everyone but I do enjoy the level of comfort and versatility. You can mix with one ear cup off or both of them on, and they’re super easy to store. Whether you monitor your mixing depending on the set or not, it’s better to pick swiveling ear cups over a flexible headband, in my opinion. And hey! If you can also make them look good, why not? – Every detail counts in a live performance. This is a debate no one can really settle. It boils down to personal preference as each type of headphones has its own pros and cons. Over-ear headphones are superior in terms of passive noise cancellation and sound isolation. If you want exceptional sound clarity in loud spaces, this is the category to get. In terms of comfort, they may take some getting used to. I find them heavy and bulky at times and I wouldn’t always want to sacrifice comfort just for a minor improvement in tonal profile. On-ear headphones aren’t great when it comes to noise cancelation. However, the level of comfort is top-notch. If you have large ears, you might just have to give this type of headphones a try. At the end of the day, I would argue that both types of headphones have a lot of merit. Even if you have a personal favorite, it wouldn’t hurt to switch from time to time. I believe that the over-ear and on-ear debate is pointless, not because one design is superior but because everything is situational. Until you’re too cool for school, you may even want to consider one or even two pairs of headphones. There’s a reason why some of them are made for studio mixing and others for live gigs. While it is true that this can be costly, as you can see from this list, headphones don’t excel in all areas. 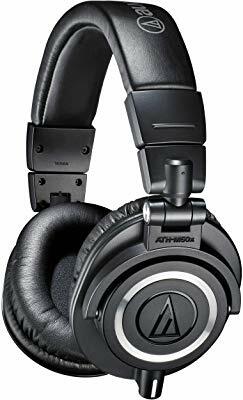 If you’re serious about becoming the next club sensation, get the best DJ headphones that you can afford and work on perfecting your style and creating flawless mixes under any circumstances. You’ll want to value the specs and performance more than anything else.